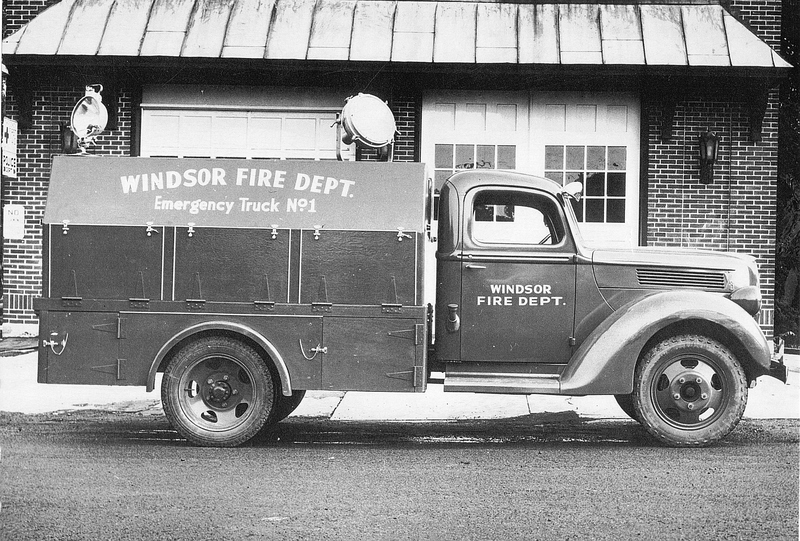 The Windsor Fire Company #2 (Hayden Station Fire Company) was formally founded September 28, 1950. The first monthly organizational meeting was called to order at 8:30 p.m. with 21 members present. Frank Smith was designated moderator to oversee the first business meeting. Elections were then held for Company Officers. Henry Drake was elected Captain, Robert Hastings as Lieutenant, and Stanley Love as Secretary. Chief George Patterson of the Windsor Fire Company #1 was present and observed the election of officers. Chief Patterson gave an inspiring speech dealing with the duties and responsibilities of a firefighter and wished the Company much success. 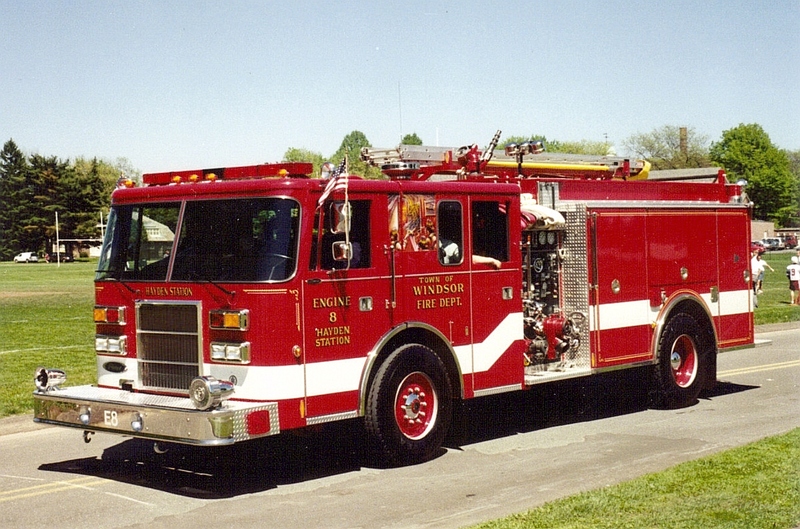 Windsor Company #2 (Hayden Station Fire Company) was founded on a principle of need to develop the Towns firefighting capacity for its citizens, especially for the Northeastern section of Windsor known as the Hayden Station district. The Company was founded not by a formal date, or meeting, but by concerned conscientious people. The firehouse itself was established in a converted tobacco shed on Center Street and leased by a Mrs. Oldroyd for one dollar a year. The first piece of apparatus to respond to an alarm from the firehouse was a 1929 LaFrance pumper (500 gpm). This piece was received from Windsor Company #1 and remained in service for many years. 1950 The first formal organizational meeting was held and Officers were elected. 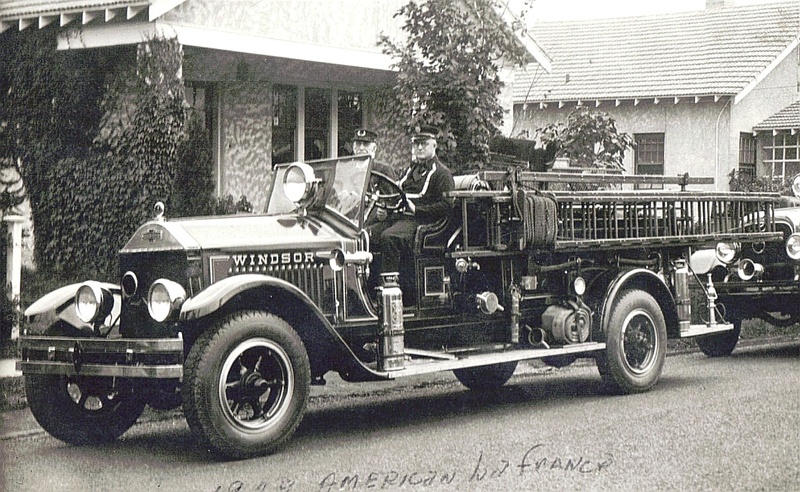 The Company received a 1929 LaFrance pumper (500 gpm) from the Windsor Fire Company #1 to be used as a first line piece. 1951 A formal investigating committee began to look into purchasing land from the New Haven Railroad located on Kennedy Road by the overpass bridge for the sum of $1,200.00. The purchase was turned down by the Town. The first formal By-laws were enacted. Chief George Patterson from the Windsor Fire Company #1 presented the members with their first badges, Stanley Love, the Companies first Secretary resigned and Mort Shoham was elected Secretary. Ed Brewer was elected as the first Treasurer Henry Drake, Ed Brewer, Walt Cooley, and Louis Terriault were elected as Captains in the Company and served until 1960. 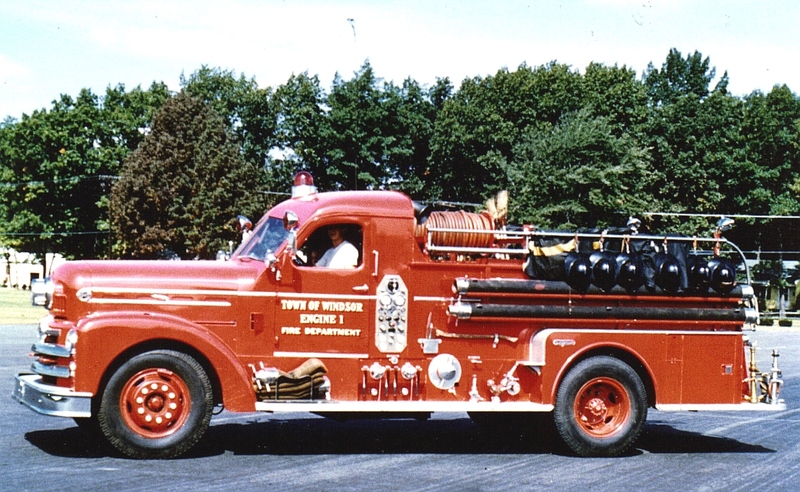 1956 The company purchased a 1947 Brockway tanker (2,000 gal) from the Poquonock Fire Department. 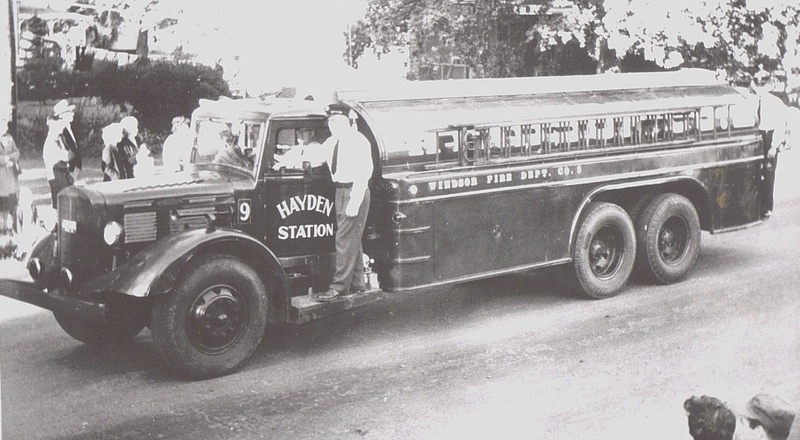 1958 The Company submits request to the Town to be recognized as the Hayden Station Fire Company. Request denied. 1959 The Company purchases a Ford crash truck from Windsor Company#1. 1960 The Company attends its first parade in uniform at Warehouse Point. 1961 Walt Cooley replaces resigning Louis Terriault as Captain. 1962 Ed Nagy replaces Walt Cooley as Captain. 1964 The Company moves from the Center Street barn to the Union Street firehouse. 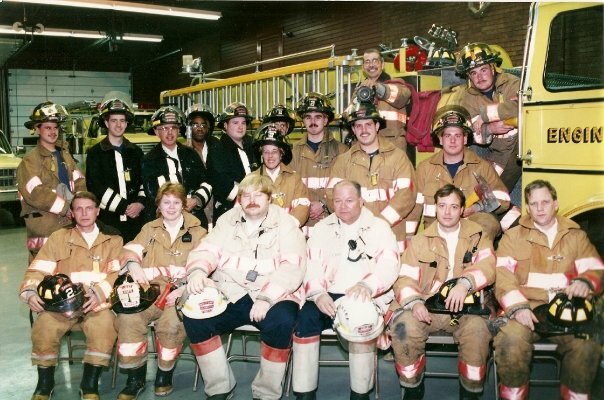 Walt Pogorzelski was elected as the first Captain in the Union Street firehouse. Windsor Company #1 passes down its 1954 Seagrave pumper (750 gpm) to Windsor Company #2. 1968 The Company moves to its new location on Basswood Road after three years of planning and construction. New Firehouse dedicated. Town of Windsor formally recognizes the Hayden Station Fire Company. New By-laws are established. Walt Pogorzelski is re-elected as Captain of the new Hayden Station Firehouse. 1969 Michael Oleksiw replaces resigning Walt Pogorzelski as Captain of the Company. 1970 Michael Oleksiw elected as the first Chief of the Hayden Station Fire Company. 1971 A fundraiser was organized and successfully completed to purchase a 1968 Ford stepvan from the Blue Hills Fire Department. A substantial contribution from the Hayden Station Ladies Auxiliary made the purchase a realization. Shad Derby fishing pond established as an annual event. 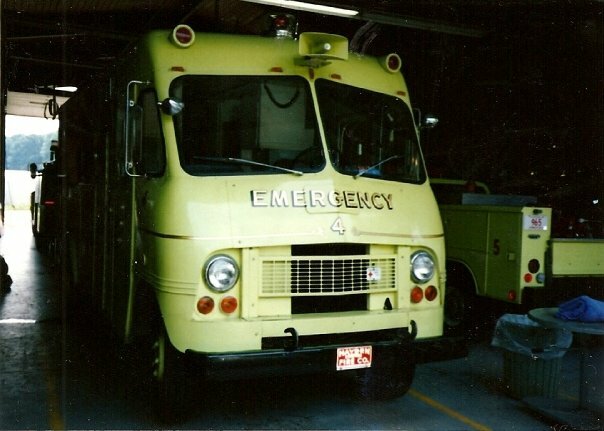 1972 Modifications made to the Ford stepvan and officially put on line as HS Emergency 4. 1973 Truck committee formed to write specifications for a new pumper. 1974 The Company purchased an Army surplus 1953 CJ-6 jeep from the State of Connecticut. After a complete restoration and rejuvenation of the jeep by Captain Craig Morgan, it was put on line as HS-5. 1975 Norman Cloutier is elected Chief, replacing Michael Oleksiw. The Company accepts delivery of a custom Hahn pumper (1500 gpm) purchased by the Town of Windsor. The arrival of the Hahn pumper in February was the first new piece of fire apparatus to be used by the Company for firefighting operations. 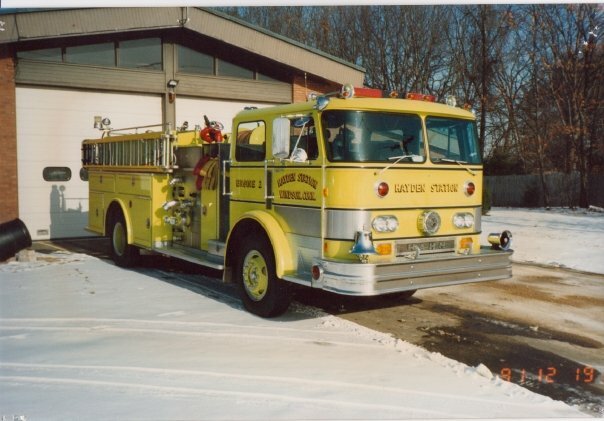 1978 Truck committee formed to put together specifications for a mini-pumper first line piece. 1980 A 1980 Ford FMC pumper (250 gpm) arrives and is put on line as HS Attack 3. First female firefighter (Sandra Toni Isner) accepted as regular member. State Fireman's Convention hosted by four Windsor Fire Companies. The four town Fire Companies standardize dress uniforms. 1981 Claude Gagnon is elected as Chief replacing Norman Cloutier. Specifications are written for utility vehicle to replace jeep. 1982 Chevrolet crew cab pickup truck delivered and put on line to replace jeep as HS UT-5. First old-timer's Night was held on April 24th. Donation from Hayden Station Ladies Auxiliary allowed cabinets to be put on UT-5. Hayden Station Fire Company becomes incorporated. 1983 Reconstruction work is done within firehouse to enlarge day room and Chief's office. 1984 Box container purchased to expand storage facilities. 1985 New Whaler boat purchased and put on line as marine rescue vehicle HS-6. 1st female Lt. is elected (Cindy Soovajian). 1st female Deputy Fire Marshal is appointed (Pam Gagnon). 1986 Chief Claude Gagnon resigns and is replaced by Dennis Walsh. 2nd Deputy Fire Marshal is appointed (Mickey Noga). 1987 Dennis Walsh is elected Chief. HS 2 is sent out to Gowans & Knight for refurbishing. 2nd old-timer's Night is held. 1988 Cascade system is replaced. Engine 2 returns completely refurbished (Hahn pumper). Fire Fighter I course is completed. Emergency Services Coordinator is hired by Town. Computer is purchased. Kitchen renovation is completed. 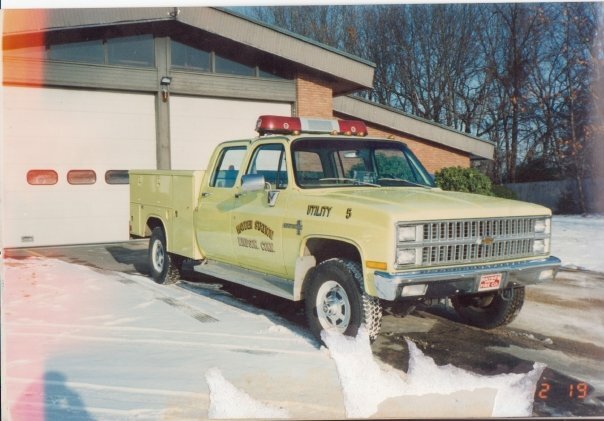 1989 Consultant Grenito arrives to prepare survey and report of Town's Fire Departments for the Town Council. Ladies Auxiliary is disbanded and donated $1,800.00 to the Hayden Station Fire Company, Inc. with the provision that if they ever become active again the Fire Company Inc. will give them $500.00 for startup money. Fire Fighter II course is completed. 1990 Two bay garage is built behind the firehouse for storage. 1991 Greg Malloy, former Captain of the Hayden Station Fire Company is appointed the Town of Windsor's first Town Wide Chief. Consolidation of all four fire companies is in progress. Junior program is reactivated. 1992 Garry Crosson is elected Chief. Maximum membership is increased from 30 members to 40 members per the Town wide SOPs. The parking lot is replaced. 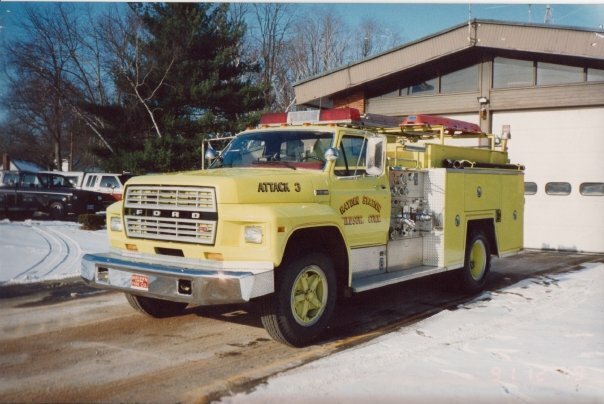 1993 The Company receives a custom Pierce 1500 gpm pumper even though the color is red (Engine 8). 3rd old-timer's Night is held. 1997 Received new air compressor system. Receive Hurst tool. Receive Hazmat trailer. 1998 A second Captain's position was added per the Town's SOPs. New bylaws were ratified separating Hayden Station Fire Company from Hayden Station Fire Company Inc, (fire side from the business/social side). Hayden Station is now two separate entities. 2001 Jim Eatherton becomes the senior officer of the Company after Garry Crosson resigns. Delivery is taken on a new "UT-5." The Hayden Station Fire Company of today must never forget the services of the past members of our Company for their years of trial and tribulations, which gave us the strength and wisdom to be what we are today.